photoshop cs2 || and meh tablet on some parts. This is awesome :D your vectors are becoming extremely awesome lately ? ooohhhh.... i lyk diz! Heheh! One of the best Yagami's walls! 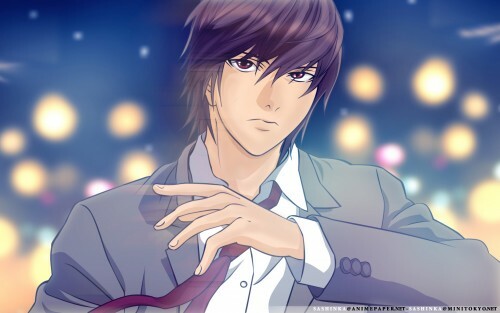 Light-kun is so gorgeousss ! THX FOR MAKING THIS WALLPAPER :D.
kira es el personaje favorito de mi hermana! Why you hae to die? why? !